Visual Swirl and Emma Looney are proud to present the eighth installment of your Desktop Wallpaper Calendars for 2010. 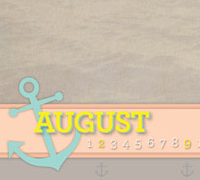 August‚Äôs calendar is another beautiful example of the work of graphic designer, Emma Looney. Keep reading for a little insight from Emma about this month‚Äôs design. Visual Swirl and Emma Looney are proud to present the seventh installment of your Desktop Wallpaper Calendars for 2010. 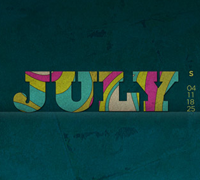 July‚Äôs calendar is another beautiful example of the work of graphic designer, Emma Looney. Keep reading for a little insight from Emma about this month‚Äôs design.